Joe Zawinul said, "Jim Beard is my favorite keyboard player...besides myself." I think that's a pretty high compliment, don't you? 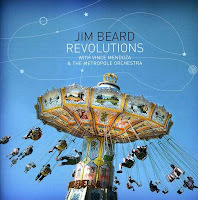 Jim Beard has been on the scene since the 1980's, with a resume that reads like a sideman's dream: Wayne Shorter, Michael Brecker, John McLaughlin, Steely Dan, and a host of other upper eschalon artists. Beard is a virtuoso pianist and composer, yet he also is widely in demand as a multi-keyboardist. His perfection and taste with sonic textures is legendary. So you were saying, your original set up was the two Yamaha DX-7s and the drum machine? 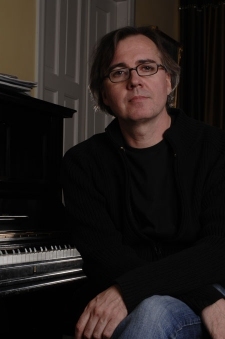 JB: Yeah, I had a DX-7 and a TX-7 and and an RX 15, the Yamaha drum machine, and an Ensoniq Mirage, and my 4 track Fostex Cassette Recorder-that was the setup when I wrote most of those tunes for the Michael Brecker albums. And like I said, my interesting sampling came from that Prince CD, the one with "Kiss" on it. And also I was talking about when demoing songs, the need to sort of clearly arrange things, that and my desire to create interesting synth sounds. By the same token, if I would stumble across an interesting sound….but also lifting a weird pad from a Prince CD or something. Sometimes a cool sound would give me an idea for a song. So it would kind of go both ways. Right from the beginning, the nature, or the quality of a sound could either lure me into music, feed my desire to get involved with it, or turn me off, if it's an offensive, horrible sound. Pretty early on, I was pretty sensitive to what I viewed was a good sound or a bad sound. GC: Even as a kid, when you were first getting into music? GC: How did you get into being a musician? 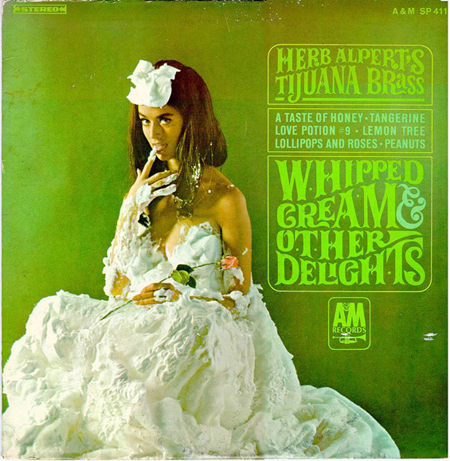 JB: I mean, those records had a lot of detail in the arrangements…"Whipped Cream and Other Delights". That's a classic record. And I always loved holiday times, the traditional Christmas music, with the choirs and the orchestra and so forth. I used to love that. GC: You grew up in Philly? JB: Yes, Ridley Park, not far from the airport. GC: Did you have classical lessons? JB: Yes. I had the same teacher for about 12 years. I started when I was 6. I did the whole heavy classical routine. My teacher entered me in competitions. GC: Did you get a degree in music? JB: Yes I went to Indiana University. After that, I world on a cruise ship for a year , with the intention of saving money to move to New York. But I didn't save any money! And I moved to New York anyway..
GC: And then right away you got the call to play with the Mahavishnu Orchestra? JB: Not right away. I moved in August of 1985. 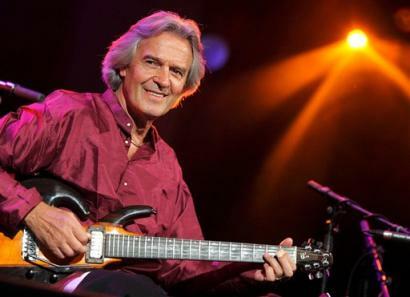 Within that year I was working with Mahavishnu. Yeah, that was an interesting time. GC: You came to New York in '85. You still live here part time, and part time in Helsinki? JB: My wife is Finnish, so we split the time between Helsinki and New York. GC: How do you think New York as a city has changed? Since you've been here? JB: I think it's a safer city now, which I believe qualifies as being better…..In terms of music, it's hard to say, you might have to compare with younger musicians who come here who are hungry. I used to do jam sessions all the time, with the loft scene….New York has gotten so expensive now, that it seems there isn't as vibrant a scene as there used to be. GC: I guess it depends on who you talk to. JB: The rents…..I don't know how a kid out of school with no money saved up, without a job, could move here. I guess they don't move to Manhattan, they live in Queens, or Brooklyn. GC: You're pretty well established as a musician, so I imagine you are touring a lot. You are still touring with Steely Dan? JB: I've been doing that for two years. But we are on a break right now, so there's a tour with a band called the Dukes of September. It's Donald Fagen, Michael McDonald, and Boz Scaggs. So the three of them in one band. It's really fun. I'm playing mostly Hammond B-3 on that. GC: Have you done a lot of B-3 playing? JB: Yeah, I've done some gigs here or there that were exclusively Hammond B-3. But most of the time, like with something like Madeline Peyroux, I would have a set up with A Steinway piano, a Wurlitzer, and a Hammond B-3. That really served that music well. GC: How do you adjust your set up, or your mindset, for this wide variety of gigs you have been doing? JB: If its a more electric oriented gig, with more emphasis on synthesizers, then that's obviously much different than doing an acoustic gig, of course. After a few years, I had a working set up that I used for a good stretch; two controllers, the Yamaha 88 weighted key controller (the KX88) and then the KX76 on top. And then I had different versions of these midi control boxes, that you could assign different splits and routings and so forth. And then midi cables running to a big rack of synth modules. GC: And you would always bring that? JB: I would always bring that for the Mahavishnu stuff, and then I got called for John Scofield, and he had a pretty electric setup as well. I was only with that band for a year. 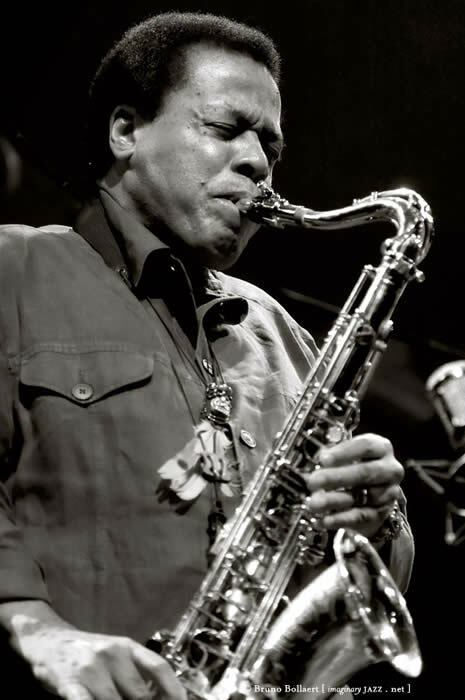 Wait, I did Wayne Shorter after Mahavishnu…there were several different bands, one was with Kenwood Denard on drums and Alphonso Johnson on bass…one with Omar Hakim on drums and Victor Bailey on bass…there were maybe 7 or 8 different configurations with Wayne. Then I did Scofield, and then I did Wayne again, and then I did John McLaughlin and the Heart of Things. But I found that this approach with two keyboards, with all of these bands, that these songs had a strong emphasis on arrangements. These songs were recorded with a lot of overdubs and different sonic layers, and so….My job was to recreate the sounds on these recordings. I saw this as a fun challenge. I saw this task as making me the orchestrator. It takes thought in terms of the ergonomics of it. Let's say, this section needs some pads in this part of the keyboard that are warm and rich, and then if stuff gets wild, I'll have something splashy in the top part of the keyboard, and then maybe I'll have a solo sound in the other keyboard. Some keyboardists now just have sort of one keyboard and then their laptop. That would drive me nuts! Because this is like having, let's say 10 people, who can play all the instruments, but they can only play one instrument at any one time, so they have to switch up constantly….no, you want to have everything ready to go all the time! If there is a spontaneous need to play a certain sound, you don't want to have to press some command on your laptop, you want it to be within reach. When I was doing Wayne Shorter's band, with David Gilmore on guitar, this was 1996, that's when the Roland JP 8000 came out. That was the beginning of the whole virtual sound modeling thing started. 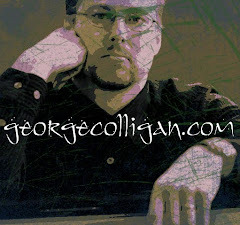 It was cool to play the instrument, because you could adjust the sound in real time with the knobs…it had a lot of cool Joe Zawinul types of sounds, almost like weird creatures speaking from another planet or something. So then I added a third keyboard. Well, actually four keyboards, because with Wayne and John, there was a grand piano as well. A piano to my left, two keyboards next to that, and the the JP 8000 on my right. GC: What do you look for? GC: (laughs). I hear you ! But for any musical situation, you always rise to the occasion, right? JB: Exactly. The craftsmanship of making the music at hand. That's the priority. Serving the music. Now, if the music is about getting out there and beating your chest, and trying to impress people, then sure, I'll rise to that. If the music is about repeating a little rhythmic part that has to be in the pocket, and that's all you have to do night after night, then I'll do that. Whatever serves the music best. I just find that there doesn't seem to be an overabundance of musicians that have that as their priority. A lot of musicians have their own agenda. It's like, "This is what I do regardless of who I'm playing with." GC: But don't you think that every musician goes into a situation having to make judgement calls? 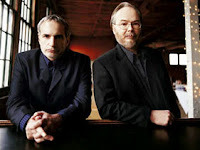 JB: For example, with Steely Dan, I'm such a fan of their music. Those records helped me create my musical concept and my harmonic vocabulary as a teenager. When they gave me the charts, about 55, 60 charts, I felt like I already knew must of their music. And so much of their music is so tangible and strong. So most of the gig is just about making the sound of the recording come to life. But there are times in the show where they will give me extended unaccompanied piano solos, where they want me to be me. So then I can get into some stuff, like Classical meets Fats Waller spun out of a riff from "Babylon Sisters", and then you gotta turn on a dime and play the part from the song, you know, just nail it. That's why I like doing film scores. Those are really fun. With film scores, you don't see the music until the last minute. In a way, it's almost like the musical equivalent of acting; they describe the scene, maybe they want the piano with a single note melody. Sometimes that can be more challenging that having to play a page full of Rachmaninoff. It's so specific: the director and the composer have such a specific idea about dynamics, or exactly where things are supposed to be. I don't do a ton of film scores, they come in waves. This year is pretty good. But you know, a lot of big studios are closing down. Clinton Studios is gone, Legacy closed down, they've been gone for about a year. Those were two of the rooms where you could do large ensembles. Now they use the Manhattan Center, which is an event room, setting up the mics, etc…. JB: Maybe not for an orchestra, but that's one of the last great rooms in New York. Yeah, it's depressing, all the studios closing. GC: What is your most recent solo project? JB: It's called Revolutions on the Sunnyside label. It's with an orchestra. It came out good. GC: How long did it take? JB: It was done in two chunks. In 2005 I was a guest with the Metropole Orchestra, I was invited to record and work with them for 5 days. I think it was 6 tunes. The only purpose of it was a radio broadcast in Europe. It was fun, I got some mixes, and it really turned out very well. So I thought, gee, wouldn't it be great to make an album with this orchestra. So I put the bug in Vince Mendoza's ear, and he submitted it to the management of the orchestra. And then I got Joachim Becker from ESC Records to get involved. So we did that, but we needed more songs, and I wanted to redo some of the first batch, so then we did some more recording in 2007. GC: My favorite recording of yours is Advocate. I love the first tune, "Fever" so much! Where did you come up with the inspiration for that recording? JB: That particular song….actually, I had written much of that song quite a bit earlier, it had just been sitting around , and I didn't have much of a production concept for it. There was this project, I don't know if they are still doing it now, but a band with drummer Zach Danziger and bassist Tim LeFavre called Boomish. I had heard their first recording, and I thought it was some really brilliant stuff. I thought they were possibly on the edge of something really unique. So I invited Zach to be involved with the drum approach on that tune. That was a time when I was still into programming and trying things….what I had not written at that point was the solo changes, which just sort of keep escalating throughout the song. That just sort of spilled out. It was fun making that record. There was a lot going on in my personal life at the time. I had two very young children at the time, they were one and three. A lot of that was really freaking me out! Fatherhood felt really new to me, and a lot of that feeling went into that recording. JB: Glad to hear that. I get pretty fussy about that. Mixing is something that I'm actually kind of obsessive about. That was 1999, that was the beginning of the decline of the music industry, maybe now we're at the bottom. But then it was a small budget. I did a lot of the recording myself. I used to have my own project studio. I had a loft right across the street from here, and I ended up recording a lot of the stuff there. The tune on the record called "Mirrors", Zach's drums were recorded there. I just wanted to see what real drums would sound like on this tune. So I put a C414 mic up above the kit and a SM 57 in front of the kick drum. We did one or two takes and I thought it sounded great. It had that sort of lo-fi thing to it. That was the beginning of when it became cool to be cheap and dumb, so to speak! And that made it on the record. GC: Do you think that now that the budgets are dropping, the sound quality is dropping? Or because of the technology, things are sounding better for less? JB: Both. I heard a recording the other day, I won't say whose, and it sounded harsh, and brittle, and kind of cheap! I think the problem is that now a lot of people think that they can be the artist and the producer and the arranger and the engineer. I think people still love music from the 60's because you didn't have that at all: you had the artist, the composer, the arranger, the lyricist. It was a group effort. You get a lot of cool things when you have a collaborative effort. GC: You're touring with Steely Dan now, what is your set up with them? JB: Acoustic Piano-we travel with a Steinway. A Hammond XK-3C, which is one manual of a digital Hammond, and the Nord Stage. That's it. The Nord Stage is great. Great clavinet and Rhodes sounds. GC: Are you planing on doing more things as a leader at some point? JB: Yes, though I'm finding that much of what I've done as a leader doesn't pay what some of these other things pay! When you have kids, you have to set your priorities. I was invited to a festival in Mexico with my own group a few years ago, and they asked me to confirm almost a year in advance. And then Steely Dan announced their world tour. And I signed a contract. And then the management said that the tour was going to be extended, which conflicted with my gig in Mexico. I really didn't want to cancel my own gig, but Steely Dan made it clear that they don't want to sub out the rhythm section. So the people in Mexico were pretty upset; they started talking about lawyers and such. I thought I would be on their blacklist forever. But then they asked me to come down with my band the next year! I couldn't believe they asked me again! But I had to turn it down, because Steely Dan was planning a tour of Australia around the same time. And then the Steely Dan tour fell through! So I could have done the Mexico festival. It's Murphy's Law, I suppose. GC: You are a prolific composer. Did you ever study composition? JB: I studied a little bit. Indiana University.But I studied with a guy who was really into this 12 tone Schoenberg stuff. Honestly, I didn't learn a lot from him. Most of my inspiration comes from listening and playing a of of music. If you play Ravel's "Tombeau De Couperin", it's just perfect music, complete. Any great music! Bach still knocks my socks off. Solo piano stuff, Chopin can really be amazing. 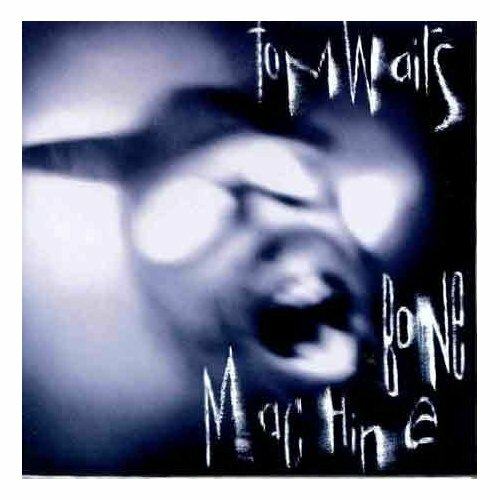 But also, Tom Waits' Bone Machine does that to me as well. GC: I hear a lot of different influences in your music, but I hesitate to call it "eclectic" because that can be a negative connotation from certain folks. But I feel like your albums hang together cohesively. JB: Sometimes I feel like my albums are more like musical "little cities." Sometimes when I'm writing a song, the song will take on the characteristics of a person. And then once I feel like it's a good song, there's a point where the song takes over. I'm not writing it anymore. If I get at least 16 bars….I mean, I reject 9 out of 10 things that I write. But once I accept it, it starts to become a character. Then I say, "How does this character walk, how does he talk, is he sad, is he happy?" He's like a person in a town. And then you want to have other people in the town. But how boring would the town be if everyone it it was the same! Of course, there is a line that can be crossed; if you have a song that's a Country-Western duet fooled by something that sounds like Wagnerian Opera, followed by a Led Zeppelin type song. That's sort of over the top…..
GC: I get the idea. Although……(Laughing) that gives me an idea……Anyway, you taught at Queens College for a while? JB: I taught there for a year, and I was also teaching at Rutgers the same year. It was ok, my kids were 7 and 9 years old, and I thought about maybe shifting my career towards teaching, so that I could be around the kids more. And then there was an advertisement in a trade paper about a job at Berklee College of Music for a Dean of Composition. So I submitted my stuff, and I made the short list. So I sent some more material. So then I made the finals, the top 3. So I flew to Boston. I swear to God, I've never been more stressed and nervous! I felt like I was being vetted for Supreme Court Justice or something. At the end of each day, there would be a big panel of other Deans, looking at you…..and I guess I felt like "wow, this just isn't me"! What ended up happening is that....they didn't pick anybody! The academic world can be strange…..
People who do well in the academic world have to have the mind of a politician. And everybody's looking over their shoulder, afraid they are going to get the axe. And, at the time, I just didn't want to play the game. GC: Do you see yourself teaching in the future? JB: If somebody came to me with a job and I didn't have to go though a maze to get the job, and they were very straightforward about it, I might consider it. Depending on where and so forth. GC: Do you enjoy teaching? JB: If it's good, I enjoy it. If I have a good student who is feeding the energy back and forth , then yes, of course. But sometimes I get students who I just know in my heart that it's not going to happen for them, and that can be tough. I had an improv class at Rutgers, and I tried to give students a sense of reality. I had a bass student in the class who had problems keeping the form for any tune. Yet this person expressed to me that he wanted to work on advanced soloing techniques. I said, 'Really?". But I had to get real. I said, "If you want to work as a bassist, people are going to hire you to play THE BASS. You've got to be able to keep the form through a tune. That's what you need to do first to get hired." Thanks for posting this. 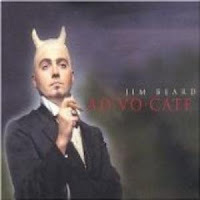 Jim Beard is one of the unsung heroes of the session keyboard world. His listed accolades were not accidental, and the content of this interview proves it. I had the good fortune to speak with him last September after the "Dukes of September" performance in Milwaukee. I hope that as his "market share" and name recognition continues to increase, he will be featured as a leader with greater frequency. awesome interview! love this piece, covers a lot!!! A recent reanalysis of the saved vials containing the original extracts that resulted in the Miller and Urey experiments, using current and more advanced analytical equipment and technology scavenger hunt riddles, has uncovered more biochemicals than originally discovered in the 1950s. natural dog food diet One of the more important findings was 23 amino acids, far more than five originally discovered. gold charmsASUS G74SX-XA1 Republic of GamersStarting next week, AT&T said it will also be selling the 3G version of the Kindle Touch e-reader, one of three new e-readers recently announced by Amazon. The Kindle Touch offers a new touch screen. AT&T will charge $149 for the device, the same price that consumers can get it on Amazon.com. "We saw four explosions. I was in a building 200m from Saint-Lambert Square," he said. A city hospital announced the death of a fourth victim, a 17-month-old girl, at 21:45 GMT. Medical staff at a field hospital at the scene treated 52 of the injured. Some others made their own way to other hospitals. An American surveillance drone has been captured and filmed in Iran, where experts are apparently examining it. But how much valuable information are they likely to glean? Iran has rejected US calls for its return, and state television says military experts were in the final stages of recovering data. The move, which is legal and was expected, makes Canada the first nation to pull out of the global treaty. A spokesman for China's foreign ministry told reporters that the decision was "regrettable and flies in the face of the efforts of the international community", Reuters news agency reported. One thing the Iranians might be doing is testing it with radar in an anechoic chamber, he says, to find its "radar cross-section", which is a measure of how detectable it is. They could also learn from some of the more exotic radar-defeating shaping and materials. "The RQ-170 doesn't carry weapons and the two humps on the top of the fuselage are radomes or fairings covering satellite uplinks which send information back from those sensors to the aircraft's control station." Any form of unmanned technology is potentially very important to Iran, Russia and China, says Elizabeth Quintana, a senior researcher in air power, at the Royal United Services Institute. "But how useful it is depends on how intact the aircraft is, and whether it had any self-destructive, self-disabled mechanisms on board. I suspect it had some but it looks like it's in one piece, from the pictures and video." Ski Bottle OpenerHong Kong is the world's most developed financial market, according to a World Economic Forum report, overtaking the US and the UK for the first time. banners and stands ponchoLaunched in 2008, the ranking is based on efficiency and size of banking and other financial services, the business environment and financial stability amongst other things. Bottle Openers wholesale toddler shoesFestival Hue 2012 - travel to vietnam - tour to vietnam - tour ghep mien trung - Chum tour tet tham quan va mua samSingapore came in fourth, with Australia, Canada, the Netherlands, Japan, Switzerland and Norway completing the top 10.
importexportopportunities Altbauwohnung Frankfurt Westend kaufenThe heads of the two experiments that are searching for glimpses of the Higgs using the Large Hadron Collider (LHC) gave their talks in the auditorium at Cern - the organisation that operates the collider. stamped concrete overlay plano click hereScientists have both narrowed the Higgs search range substantially and provide tantalising hints that something might - just might - be showing itself at the mass of 125 gigaelectronvolts (GeV). ebooks retractable banner standsIt is perhaps understandable. If he said anything else it would make Cern look as if it had jumped the gun if these hints diminished - as many signals have done in the past. small dog breeds Buy NO2But they are now analysing five times as much data as have been presented before. And the fact that both experiments see an "excess" or data spike at 125 gigaelectronvolts (GeV) is extremely tantalising. "I did this so I could go to college, go to university, for it to have a positive effect on the rest of my life. "As a spouse you're almost invisible," says Patti Fogarty, who moved to New York with her husband. "It almost didn't have anything to do with me, it had to do with my husband and his career. I felt just stuck in the middle." Dieu explained that she usually taught a class of 4th and 5th graders in the morning and a class of 2nd and 3rd graders in the afternoon. “This teaching method costs time and makes concentration troublesome,” Dieu noted, saying that teaching different levels of irregularly attending students was no walk in the park. "I can't believe it," a party member named as Kang Tae-Ho was quoted as saying. "How can he go like this? What are we supposed to do?" The downgrades may also have an impact on the eurozone's rescue fund. The European Financial Stability Facility (EFSF) - which has already been used to rescue Portugal and the Irish Republic - is guaranteed by the eurozone governments. Meanwhile, Italy says it will declare a state of emergency over the incident, and provide funding to help avert any environmental disaster. Beside the lake, beneath the trees, Fluttering and dancing in the breeze. Continuous as the stars that shine And twinkle on the Milky Way, They stretched in a never-ending line Along thousand saw I at a glance, Tossing thier in sprightly dance.